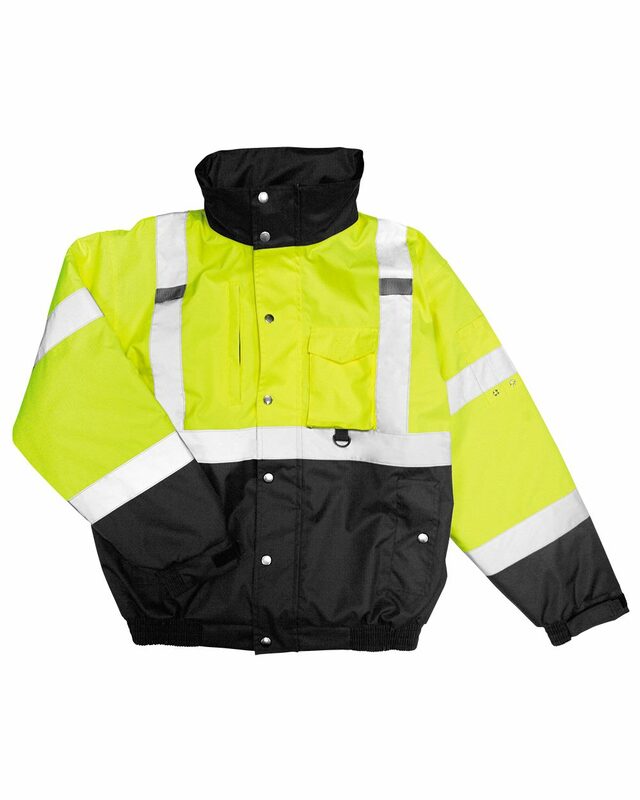 ML Kishigo - Hi-Vis Jacket (JS130) All-weather worker with water-repellent shell and fleece-lined body and sleeves. 300-denier water-repellent shell. Fleece-lined body and sleeves. 2" wide silver reflective material. Hidden hood. Two outside right and left slash pockets. Left chest radio pocket. Outside access multi-use pocket with vertical zipper closure on right side. Class 3 compliant.